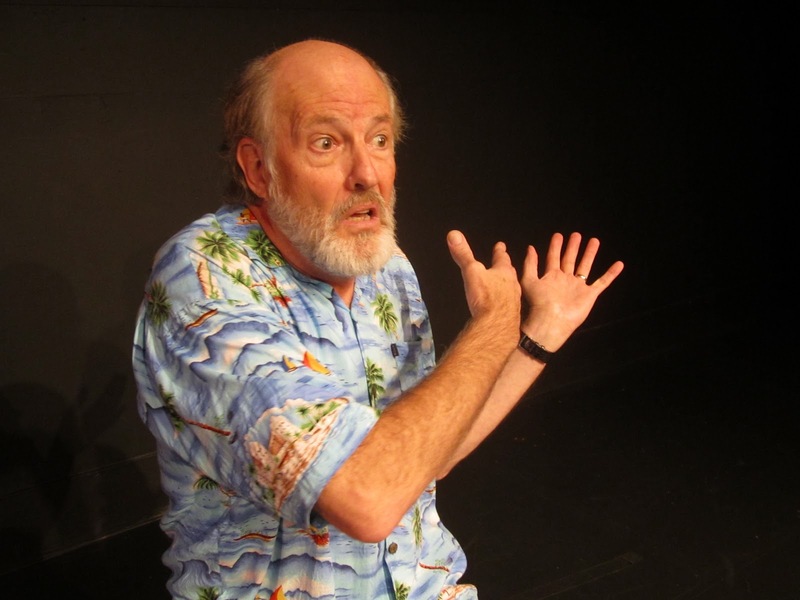 If you ever knew anything, or read anything, or heard anything about Ram Dass, you will probably love Lynn Kaufman's "Acid Test," an eighty-minute performance triumph for actor Warren David Keith. 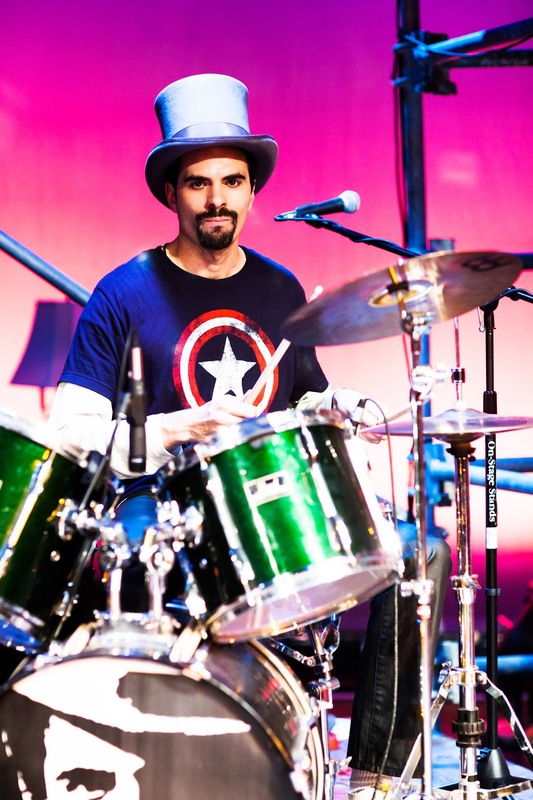 Kaufman and Keith tell the story of 60's icon Richard Alpert, scion of a wealthy family and tenured professor at Harvard at age 29. Alpert meets Timothy Leary, discovers hallucinogenics and the game is up. 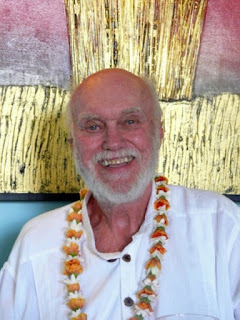 He travels to India, meets a guru and is given the name Ram Dass, which means "servant of God." 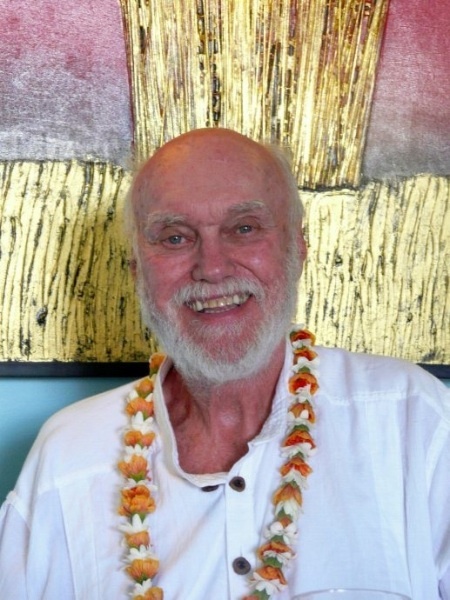 Ram Dass's books, lectures and insightful phrases become desktop images for a generation, before there were desktops. The one in my mind right now, on November 16, is: "If you think you are enlightened, go home for Thanksgiving." Warren David Keith is so very good. The only way this reviewer would know for sure that he is NOT the actual Ram Dass, is that author Kaufman was holding court after the show and told a trusted associate she and Keith are heading to Hawaii to perform the show for Ram Dass himself, who has lived there since his stroke in the 1990s. There are wonderful stories here -- the vignettes about the acid-laced baseball game in Mexico, everything about Ram Dass's father, and, of course, his jabs at Andrew Weill are all standouts. 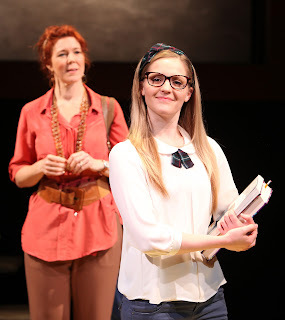 The San Francisco Theater Blog Awards "Acid Test" Four Stars. 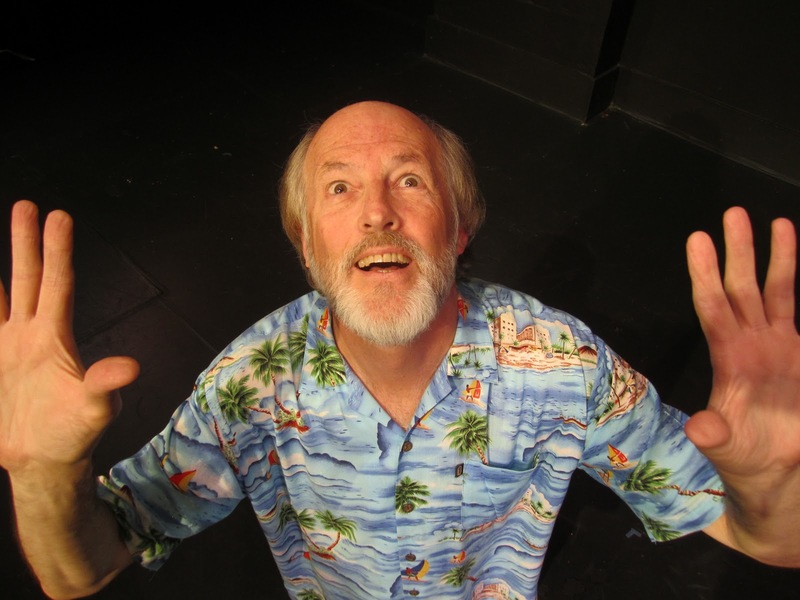 It is an unforgettable show about an unforgettable man, with acting, writing and directing all hitting the mark. "You see, it was quite a weekend. 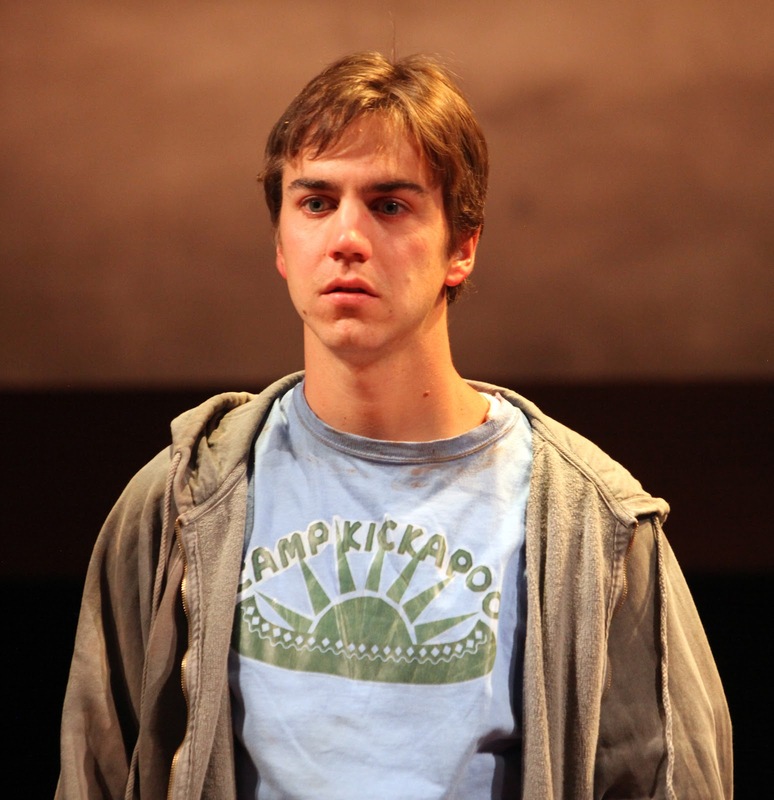 And it would go on the rest of our lives," says Philip, the dad (Mark Pinter). 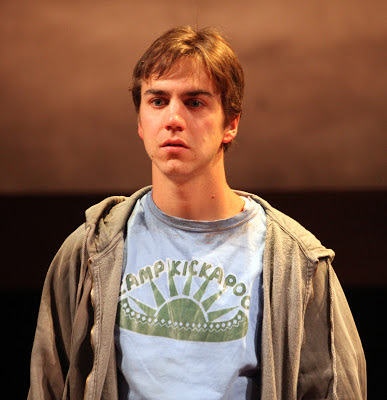 He and his wife, Lillian (Kim Martin-Cotten), have driven from New York to Maine, to spend the weekend at Camp Kickapoo with their 17-year old son Joey (Daniel Petzold). Joey's disgust for his parents appears to be as psychotic as it is understandable. The parents bicker between themselves, they have what is obviously just one in a long string of fights, Philip screams at Joey and Joey takes off. For hours, all through the night, no one knows where he is, or even if he may have done something horrible to himself. Now, the parents must come to grips with what the possibility of losing their troubled son would mean. 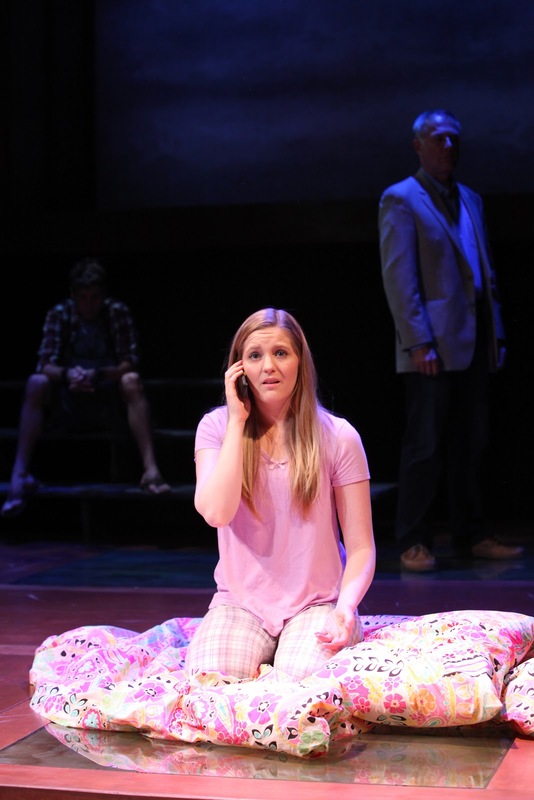 They are aided in their questioning by camp counselor Mike T., played with a lot of heart by Jeremy Kahn, and by their 16-year-old daughter Nora (Riley Krull). The kids are right on top of the issues, acting like adults, as the parents squabble like babies. I just want to be alone, OK? No, that's not okay. Not when we came all the way up here to be with you. You know you could show an ounce -- just an ounce -- of gratitude. He doesn't need to thank you for coming. You're his father. You never let me forget it. I can't take the two of you anymore. Talk about grating. 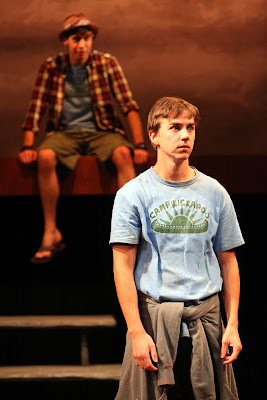 The ending is a bit formulaic, but playwright Anna Ziegler wants to leave us with a snapshot of hope for this family. For us, the parents could be a little more redeeming -- they are both such disagreeable people -- and don't seem to grow during this drama. But that's the parent in us talking. It's easy to identify with the horror of trying to raise a troubled child. 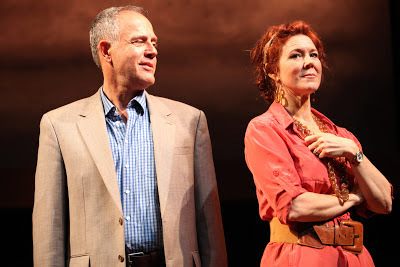 The San Francisco Theater Blog Awards Division awards "Another Way Home" Three Stars with a BANGLE of PRAISE. There isn't enough meat on these bones to justify an extra star, though director Meredith McDonough does not allow the pace of the 80-minute one-act show to falter. The BANGLE is for the actors playing the kids -- Jeremy Kahn, Riley Krull and Daniel Petzold. These three are young adults, not children, but they help us remember the angst of being in between. The stage in San Francisco Playhouse's new home has a lot more space for the actors and musicians to work. 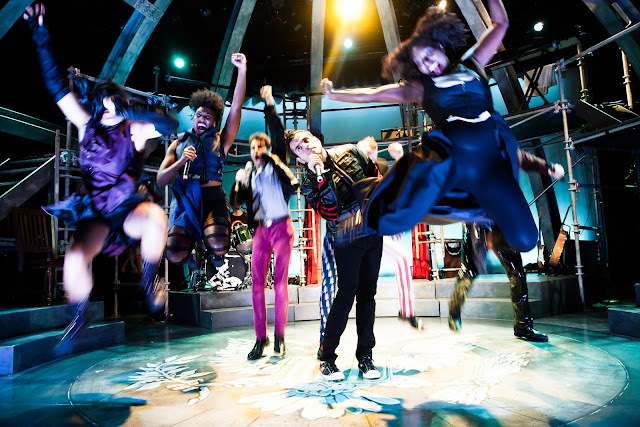 Every inch is used in Alex Timbers and Michael Friedman's rock and roll musical "Bloody Bloody Andrew Jackson," which originally premiered in New York in 2009. This regional premiere has received excellent reviews since it opened in early October, but for us it lacks an effective center. Rock and roll is like that -- you've got to convince your audience. Maybe election season 2012 is not the best time for political discussions on stage of the issues of 1828, which are not all that dissimilar from what we are talking about today -- the greater good versus individual perfidy, for example. The problem is that the author does not seem to have made up his mind how he feels about his protagonist. Is General/President Andrew Jackson an American hero whose victories expanded the territory of the United States? Or is he a hated bigot whose portrait belongs on the wall at Indigenous Peoples' Day headquarters? Is he a flawed hero? Of course. But fatally flawed, or just misunderstood? There's a lot of space between these two poles. Perhaps the music could help us come to a conclusion, but the lyrics are caught between cutesy and overly complicated, while the score is one-dimensional and frenetic. On this night those guitars added power but little else. The lead, Ashkon Davaran, has been making a name for himself in town due to his celebratory video for the San Francisco Giants World Series victory. He was energetic but didn't have a lot to work with. William Elsman was an effective John C. Calhoun in a limited role, as was Safiya Fredericks as Henry Clay/Black Fox. Ann Hopkins, as the story teller, was an audience favorite. Historically, the show asks a lot of important questions. But, as one audience member said, rather too loudly as the show ended: "Man! That was complicated!" 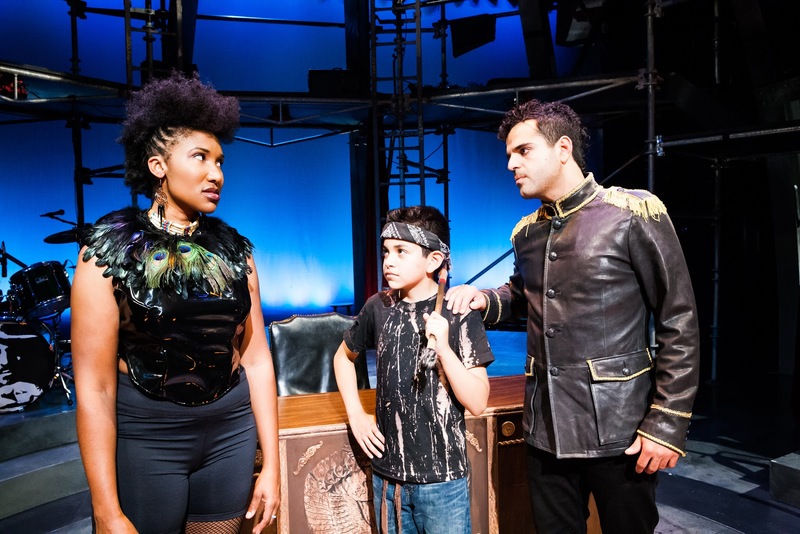 The San Francisco Theater Blog Awards Division awards "Bloody, Bloody Andrew Jackson" Two Stars with a BANGLE of PRAISE. Two stars falls below the Julie Andrews line (see explanations of ratings in sidebar), but Jackson's history rates a BANGLE because we do learn quite a bit about the man. Were his parents really murdered by Indians before his eyes? 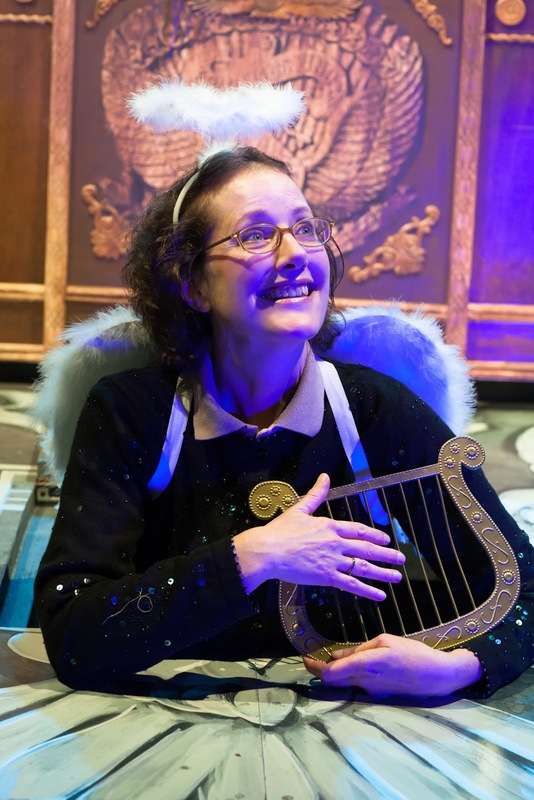 For us the bottom line is that a musical without singable songs means the show's energy either lifts you or leaves you flat. It's hard to hit the bulls-eye every night.